First, I hope you had a great Christmas and new year’s eve and I wish you all a happy 2012! 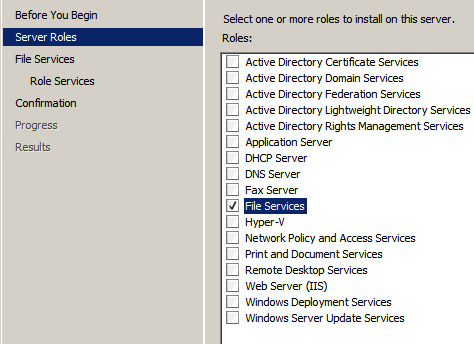 Last year I had a couple of customers asking for how to install Windows Search Server and see if it is utilized or not. 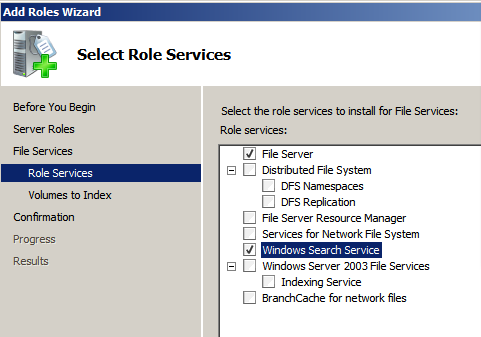 These instruction is based on a Windows 2008 R2 Server system. 2. 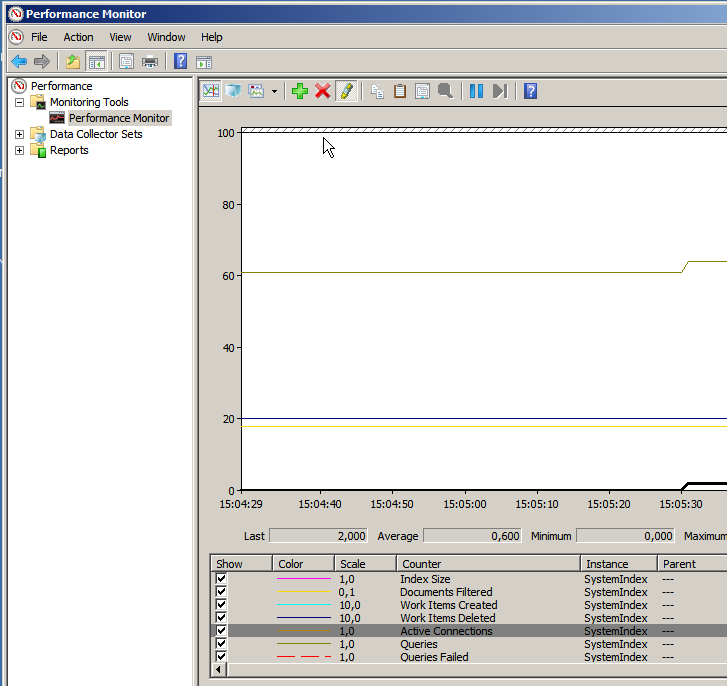 During the installation select the volumes you want to enable search for. 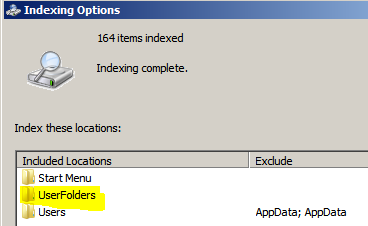 You can edit the folders after installation by using Indexing Options in Control Panel. 3. Installation complete, now from the client browse the folder where you got the warning message, and you will see that the message is gone. 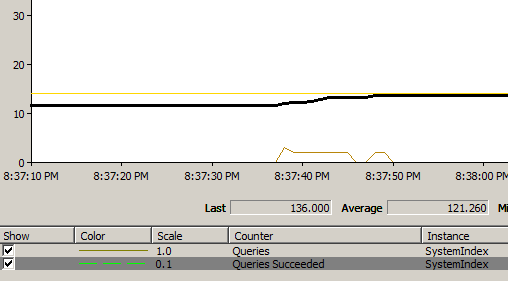 If the message still appears take a second look at the folders indexed on the server and wait a while for it to start index. How can we see if it’s utilized or not? A little notice about firewall rules, standard rules for File and Printer Sharing is enough. I will not go into details about the rules, since the port and protocol information can be found in the rules. Note! 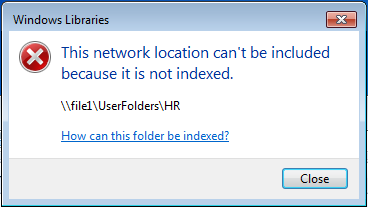 Microsoft does not recommend Windows Search Server for Enterprises, where it’s recommended to use other products like SharePoint 2010 Search. Next Next post: Do you get certificate errors?